Home » Time for an Open Source Web Solution? Time for an Open Source Web Solution? As a term, open source gets tossed around as a ready-made mantra of the code hip. It’s understandable. Why support The Man when cool code hackers have been the ones behind the move to apps and products including OSs like Linux and the upcoming Google Chrome OS, Wikipedia, Mozilla’s Firefox (now in its fifth year and still growing), and Google’s Android (smartphones and now netbooks). Even the odd sounding Drupal is gaining traction: this open source CMS enables one person or a whole group to publish, manage and organize a wide variety of content on a website. That last free software package came to the fore recently when it was announced that the U.S.’s first CTO, open source champion Anesh Chopra, uses the app to run the Whitehouse.gov website. I know. Yawn. Most of us involved in content creation treat all of this as just something codeheads would care about. We’re more interested in the apps that sit on top of our Mac or PC OSs, whether it’s Final Cut or After Effects. A Linux-based program like Gimp, for example, doesn’t come close to providing the slick, bulletproof experience of Photoshop. But with the Web playing an ever-greater part of our careers, there’s a lot more to know about than just a handful of apps or the Mac vs. PC fanboy wars. You need to know about the increasingly important role open source software plays. That’s what made it useful to attend a recent Producer’s Guild of America (PGA) Salon Series panel. It’s the PGA’s New Media Council East that actually puts these programs together, headed up and hosted by always capable, ever-affable Chris Pfaff, chairman of the group. 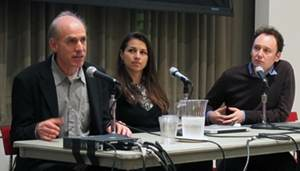 Three panelists addressed the assembled group of about 50 producers and other creative types in the New School auditorium: Norman Basch, recently of app developer Reservoir Labs; Linda Drabik, Kaltura (open source video platform); and Tatum Lade, Diversion Media (open source web app developer). Chris joked during his introductory remarks that the fourth panelist, Brian Murphy of AdMob, followed what must be found somewhere as part of every startup’s business plan: get bought by Google, which is exactly what happened with AdMob, a developer of open source apps for mobile advertising. The electronic ink, it seems, had barely dried from Pfaff’s invite when company execs had to recuse themselves from talking before the $750 million purchase went through. Why is open source software gaining market share and in some cases becoming a hot investment property? Some point to the prospect of continuously improving software: open source development communities work for free, so why not tap into that? Red Hat Linux, for example, offers a free noncommercial version that benefits from thousands of free workers pouring over code to improve it. The company sells a commercial version to large corporations, which it supports, writing custom modifications and other tweaks. In his opening remarks, Pfaff recalled Metcalfe’s law; the computer network pioneer had noted that the value of a telecommunications network is proportional to the square of the number of users connected to it. Fax machines for example only became useful when practically everyone in business had one. Open source software took off when the Internet connected hackers and coders working worldwide into a growing resource. Open source means many different things. Take lower costs upfront, and lower maintenance for example. There is also the ability to see all of the app’s code (key for making specific changes you may need) as well as freedom from the future whims of companies that you can’t control, or may go out of business. That last point is more important than many might realize at first, said the panel’s Norman Basch. Companies may decide to drop development of an app you’ve based your business around, which could shut you down. While open source advocates like to tout the word ‘free’, Basch noted that “There are two meanings to the word free” that you might do well to keep separate, that you can be free to do whatever you want and free in terms of economics, that something is free of cost. Sometimes the two concepts dovetail and sometimes they’re completely different. Basch says that the open source movement is generally talking about the first kind of free–free to do what you choose with the software–and not the second kind of free, as in free lunch, which is what someone new to the open source trend might think is most important. That leads to further complications he pointed out when you look at freeware, which is not the same as open source necessarily. All open-source software is generally free and that means royalty-free, but all freeware doesn’t necessarily allow you access to the code, so it’s not really free in the larger sense. For example Microsoft comic a number of its developer programs available for free, but will never allow full access to the code underneath nor allow anyone to change it, exactly the opposite of open source software. While it’s only a little over two years since its public launch, Kaltura has caught the fancy of the open source media community. The New York-based company touts itself as offering “the world’s first Open Source Online Video Platform” with some 38,000 active users claimed. The video-centric app runs on servers, and enables websites to include uploading, importing, editing, annotating, remixing, publishing, syndicating, searching, monetizing, and monitoring both video and photos. Anyone who wants to try out the app can download the SDK for free, but to use it you have to know how to put it on a server, work with ISPs, configure and compile the app, and run it on a data center. If you can’t handle that sort of code wrangling, producers can turn to the active online community for help, or hire the company itself, says Linda Drabik, Kaltura director of business development. How can you use the software? According to a posting on the Kaltura user forum, one approach would be to install Kaltura CE on a server and use that to manage your video content on the “back-end”. You could then install Drupal, WordPress or a custom piece of software to act as your “front-end” (i.e. the interface that users of the system will interact with). You would then import videos into your Kaltura database. Besides on your own site, Kaltura can also create embeddable video so that you can embed them in blogs, Facebook, and elsewhere. You can also create applications that will accept uploads of user generated content such as WebCam videos. But for those producers who blanch at the thought of working with such a server-side app, Drabik recommends the software as a service route. 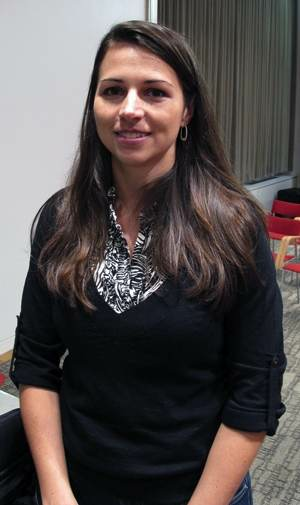 It’s a business consideration of what your time and effort is worth, says Drabik. You need to decide if your time is better spent building these apps yourself or is it better to spend your time actually making content and so deciding to buy it as a turnkey service app. In the latter case, users can expect to pay a yearly license fee based on their usage. For this, “We would have to have a good understanding of (the filmmaker’s) requirements, which then would enable us to pick the right components,” says Drabik. Arriving at the final pricing would come after the user picked the desired features and functionality.